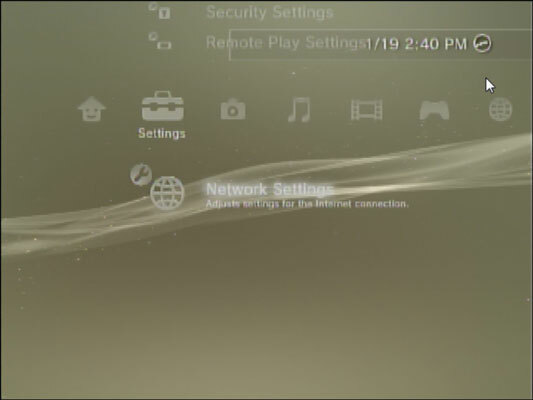 Using your controller, navigate to the Settings menu on your PS3, and then open the Network Settings menu. On the right side of the controller, the X button is used to select something on the screen and perform that action or open that menu, while the O button is used to cancel an operation. The directional keys (there are four of them) on the left side of the controller are used to move around the screen to select things (like using a mouse to move your cursor on a PC screen). 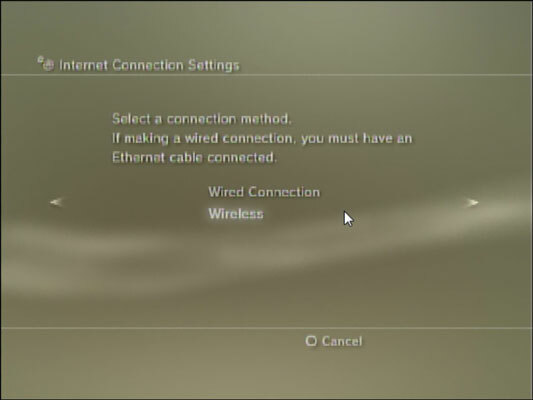 If your system asks you if you want to be disconnected from the Internet (perhaps you’d previously had a wired connection on your PS3), select the Yes option. Select the Easy option when prompted, and then select the Wireless option. The WLAN Settings options appear. 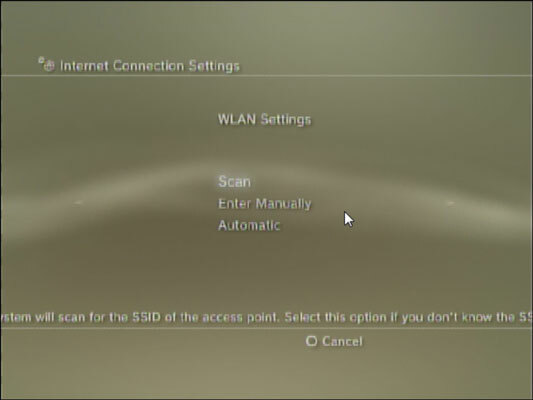 Click the Scan option and look for your wireless network’s SSID to appear on the screen. Don’t be surprised if you see a bunch of networks — especially if you live in an apartment, condo, or just a neighborhood where the houses are relatively close together. 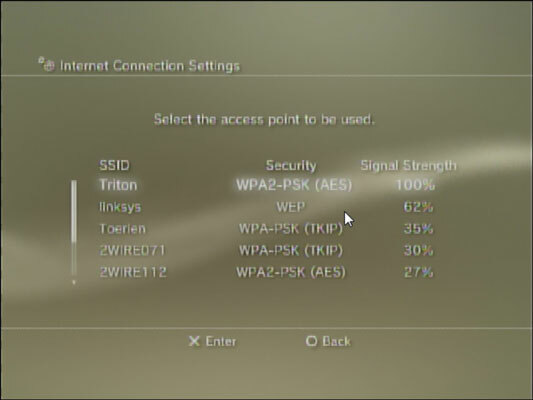 When you find your network’s SSID listed on your TV screen, select it by clicking it with your controller. The WLAN Security Setting options appear. Select the security you use on your network. You can choose None, WEP, or WPA-PSK/WPA2-PSK, so choose the one appropriate for your network (use WPA on your network, if possible). 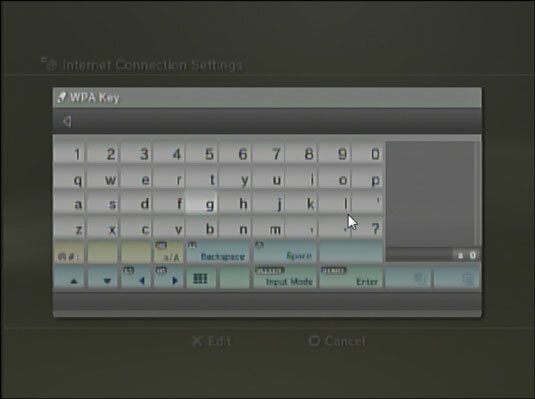 If prompted, enter your WEP or WPA passphrase using your controller and the onscreen pop-up keyboard; then click Save. For security purposes, the characters you enter will turn to asterisks (*) after you enter them, so it can be hard to keep track. Now you’re ready to test your wireless Internet connection. 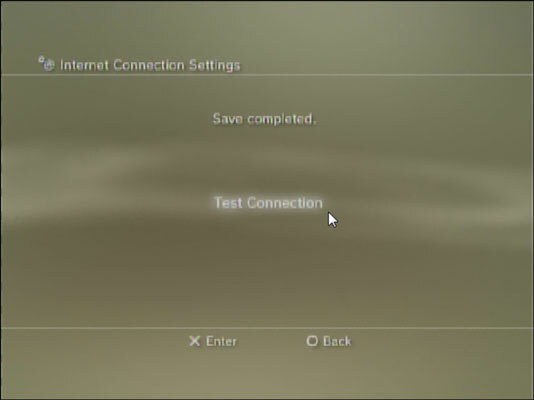 Select the Test Connection option. 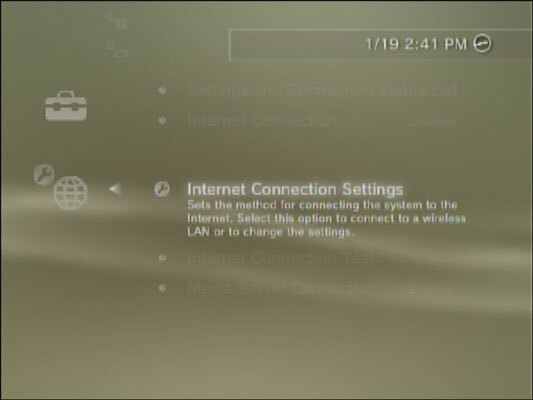 Your PS3 will connect to your wireless network and then to a test server on the Internet and confirm that everything’s working okay. If you get any error messages, your PS3 will prompt you for changes you need to make. That’s it; you’re done. 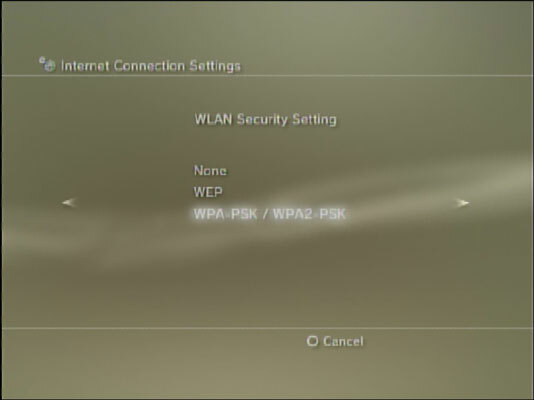 Your PS3 will automatically connect to your network whenever you turn it on.